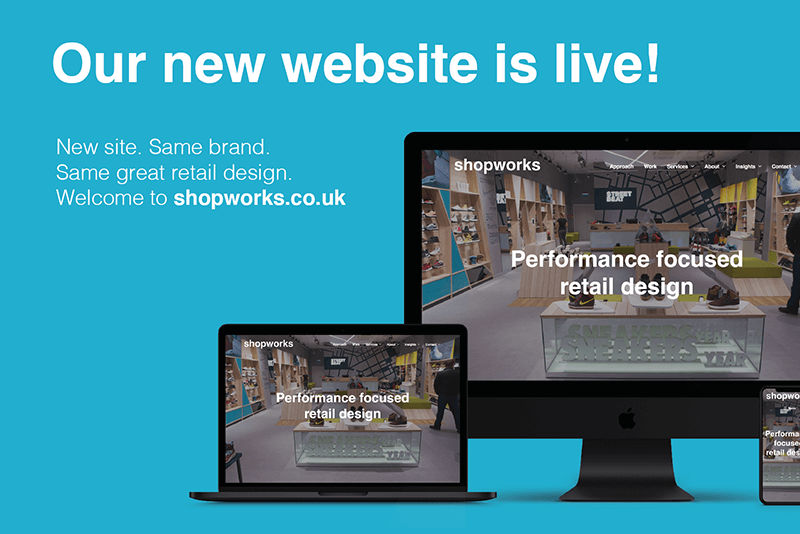 We are delighted to announce the launch of our new website which has been developed to showcase our strengths and reflect our approach of making shops work through a customer research and design approach based on the Shopworks planning principles. Our aim with the new and refreshed website is to provide our visitors with an easier way to learn about Shopworks approach, services and projects based on their needs. We’ve also improved the structure of our content so that you can understand more from a quick read and added videos of some of our design projects. With it’s clean design and intuitive and consistent site wide navigation we hope you can now find your way around with ease. We will be constantly updating our content and with helpful information, articles, retail news and trends, newsletters, company announcements and client successes on the Insights Page, so do check back regularly or sign up to our newsletter for updates. We hope you find everything you need from the new website with it’s fresh look and easy to access information. For any enquiries and feedback please contact us at info@shopworks.co.uk or call us 01442 875666.